*This post is an excerpt, from a new page of the same title, I’ve just added it to my blog. Pre – Ramble – I mean Amble. In these past two or so years; after much experimenting with iPad art, I can see, this will continue to be a large part of how I draw and paint. making prints of works on paper. Differences between iPad art “original prints” and “reproduction prints”. About giclee/inkjet printing – some links about open and limited print editions. About prints I make at home. sprinkled throughout this page, as they expand on some of the points I make. *I don’t necessarily, agree with all viewpoints, on these linked websites. If you have some information you’d like to share, the comment section for this page, is open at my blog. I’ll keep this page updated, with any info and links I find helpful; and hope it will also be a help to you. Over the years, I’ve often used a colour copier/printer to scan and make “reproduction” prints of my watercolours, ink pen, and pencil works. 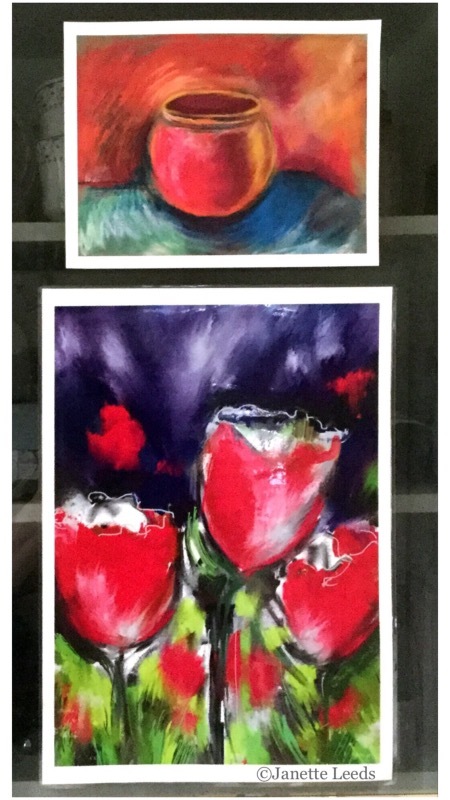 Two Artworks Painted in the “Art Set Pro” App.